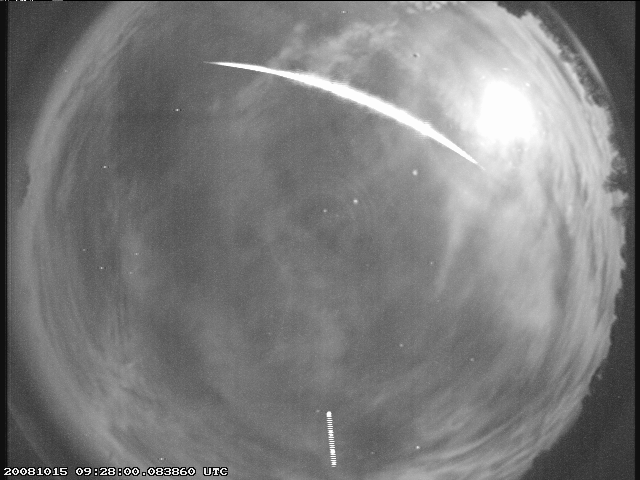 At 05:28 am on Wednesday morning, October 15, all seven cameras of Western's Southern Ontario Meteor Network recorded a bright, slow fireball in the predawn sky. The best trajectory solution suggests the fireball was luminous to an altitude of 38 km at which point it was moving 8-9 km/s. The initial velocity at the top of the atmosphere was 17 km/s. The fireball is suspected to have dropped meteorites in a region north of Guelph, providing masses that may total as much as a few hundred grams.